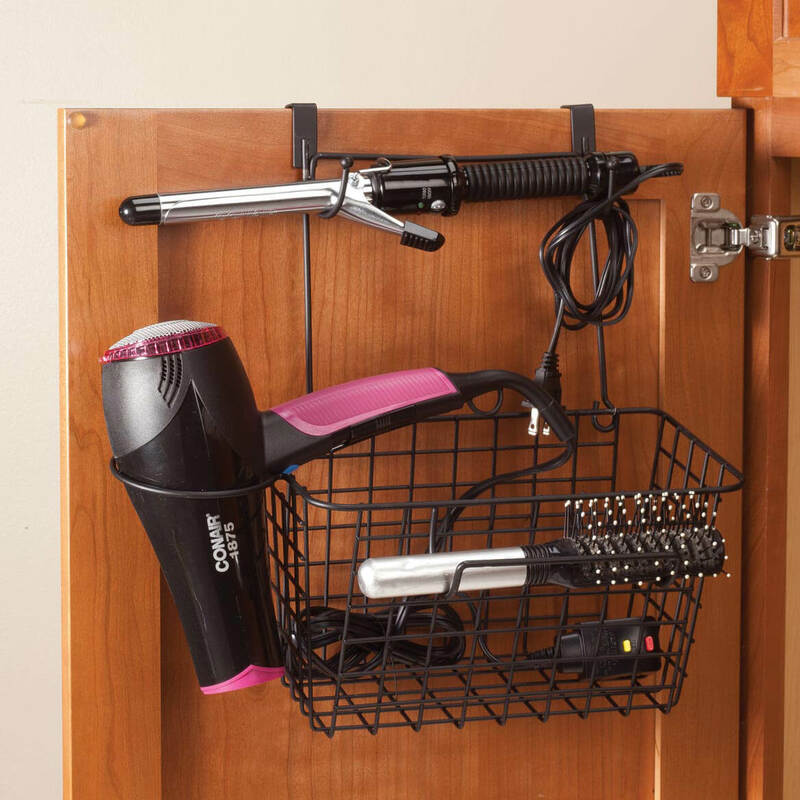 I chose this product cause it keeps my hair blow dryer and hot curler iron and other items very tidy. Keeps these items handy and off the sink. Are the Jhooks removable so you could hang it flat against a cabinet, not hang on the door? BEST ANSWER: Thank you for your question. 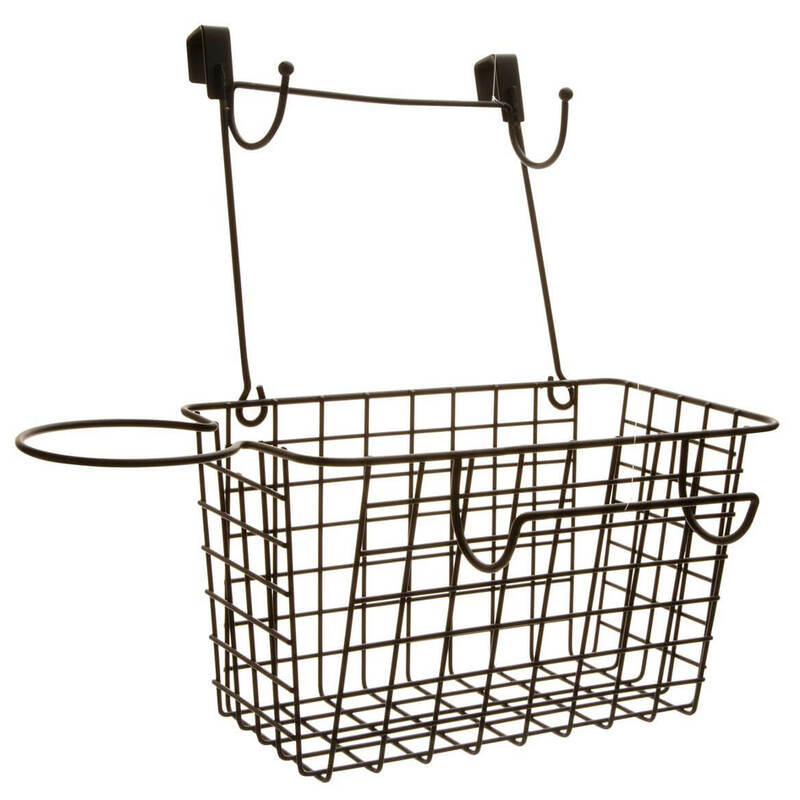 No, we are sorry they are welded onto the basket and can’t be removed. We hope this information will be of help to you. Can somebody tell me the dimensions? I want to try to use it in our camper bathroom cabinet and not sure if it will fit. BEST ANSWER: Thank you for your question. The basket is 10 1/2” long x 6” wide x 6” deep. We hope this information will be of help to you.